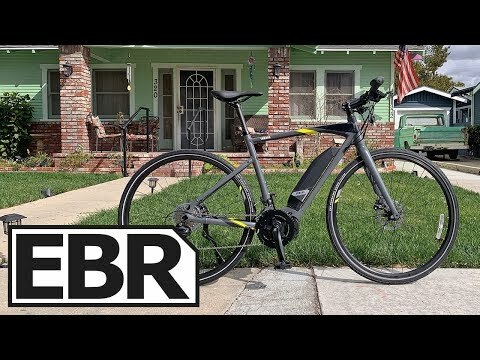 https://electricbikereview.com/yamaha/cross-core/ The Yamaha Cross Core is a sleek affordable commuter from Yamaha, a household brand name going for a balance of price, performance, efficiency, and a purist feel, for years they did their homework studying their applications on Haibike, Giant, etc, using data and analysis to make offerings of their own. The PW SE motor is smooth and very efficient, coupled with the protected PW-X display, it makes for a intuitive and enjoyable riding feel, measuring cadence, torque, and rear wheel speed, an extremely advanced system for a value priced ebike. A 3 year warranty and a dealer network that gets reimbursed for working on your bike which means much less customer issues on an already proven and reliable electric system, a perk some of the smaller brand names are still catching up to. In comparison to its big brother, the Cross Connect, it is missing fenders, rear rack with light, and a suspension fork, and hydraulic brakes, this shaves $600 off the price and the bike still includes bosses to add your own rack and fenders, however no tapered head tube to swap out the rigid fork.